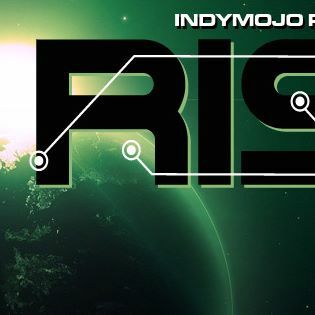 RISE: A three room, multi genre, multi crew, celebration of Indianapolis dance music. Raphael Johnson, aka Spktrm is an electronic music composer, residing in Michigan. He is widely regarded as one of the most diverse, upcoming and forward thinking Drum & Bass artists to come out of the United States. He has released on numerous established record labels, including Gridlok’s Project 51 Recordings, Human Imprint, Barcode Recordings and Habit Recordings, among many others. Spktrm’s tunes have been supported by some of the most acknowledged names in American and global Drum & Bass, including the likes of Gridlok, Hive, Paradox, Bad Company, Technical Itch, Bkey, John Rolodex, Bailey, Loxy, Dieselboy, SPL, Soul Intent, Friske and many more. His tunes have graced dance floors from small American nightclubs to massive arenas in Russia, as well as radio shows such as BBC’s 1Xtra. Since the beginning of his musical career, Spktrm has brought his sound to numerous regions of the United States, for crowds spanning from hundreds to thousands of people. His travels include performances in cities such as Los Angeles, Hollywood, San Diego, New York, Portland, Virginia Beach, Austin, New Orleans, Baltimore, Minneapolis, Boston, Indianapolis and Detroit, among others. He has also performed at some of the largest major electronic music festivals in the world, such as Starscape and the Electric Daisy Carnival. Spktrm’s sound is notoriously difficult to categorize, as he manages to incorporate such a vast array of musical and artistic influences into his work. More recently, he has been exploring the avenues of highly futuristic and abstract funk and jazz fusion. The primary commonality in all of his artistic endeavors is a clear cut sense of futurism, with production quality that is second to none. The only thing more diverse than his production style is his performance approach. Spktrm has been known to bring an incredibly unpredictable and exclusive track selection to all of his shows. Recently, Spktrm completed and released his monumental debut album, “Android Dreams” on Gridlok’s label, Project 51. The album received heavy support from major Drum & Bass artists around the world, and was met with equal praise in the press and from fans, charting at and above Top 5 in multiple genres on the Beatport Top 100 releases. It provides a glimpse of the origins of Jungle and Drum & Bass music, with an entirely new and futuristic perspective. The future is looking incredibly productive for Spktrm, and he is certainly an act not to be missed. Originally from Indiana, but now calling Dallas home, J. Caprice has emerged as one of the most exciting producers and DJ’s on the international house music front! A seasoned vet behind the decks, J. Caprice has been spinning since 1996 and has gone on to share the decks with the biggest names in the game, performing all over the country in cities such as Miami, Chicago, Milwaukee, Indianapolis, Houston, Portland, Lexington, Kansas City, Denver & Omaha. He has gone on to string together an impressive list of full EP releases on labels such as Midwest Hustle, Dustpan, Native Soul, Close Up, Union, 6th Sense, Kinjo, & Gourmand as well as numerous remix projects and one off sampler tracks. In 2008, he teamed up with good friend and fellow DJ/producer 4peace and formed the tandem known to the world as High Maintenance, adding even more labels to his stable such as Digi Funk, Junky Trunk, Shak Digital, Hu Hu, Ficus Tree, Greenhouse, Serial Sickness, Illuminati, and Cotopaxi! As both J. Caprice and part of High Maintenance, he has had his music charted by the likes of Jason Hodges, Smokingroove, Mes, & Tommy Largo and has seen several tracks climb into top 100 record store charts. When he isn’t out rocking dancefloors or in the studio making beats, you can find J. Caprice helping to co-run the label Juiced Music which has quickly established itself as one of the most successful and respected labels in underground house having scored a multitude of chart topping hits on nearly every release by artists such as Wattie Green, South Of Roosevelt, Jeff Service, JR From Dallas, and Scrubfish, as well as his own project label Home Again Recordings Digital (H.A.R.D.)! As if that wasn’t enough, you can also catch his highly touted mix show, “J. Caprice – Live @ Juiced Studios”, which airs every Friday. from 5-7pm on WWW.CHICAGOHOUSEFM.COM. In a business where most artists are a here today, gone tomorrow act, J. Caprice is quickly proving he’s here to stay for the long haul. With a sound that continues to mature with each release, there is no telling how bright his star will eventually shine!